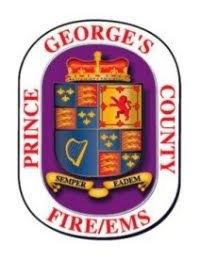 Prince George’s County Executive Rushern L. Baker and Fire Chief Benjamin M. Barksdale will proudly showcase Fire and Emergency Medical Services (EMS) apparatus delivered over the past 6+ years. Baker has invested over $50M in equipment designed to keep residents safe and provide assistance in times of medical emergencies and disasters. Members of the media are invited to attend this display. County Executive Baker and Fire Chief Barksdale will make themselves available for comment during this event. WHAT: Fire/EMS apparatus display of units acquired during the Baker administration. WHO: County Executive Rushern L. Baker, Fire Chief Benjamin Barksdale and the men and women of the Fire/EMS Department.